The investing and finance arenas are wrought with frauds and scams. Those who operate legitimately struggle to compete with smarmy business practices and snake oil sales techniques. Listen in as Lior Gantz talks about his experience openly educating and transparently operating in an arena known for its bad reputation. 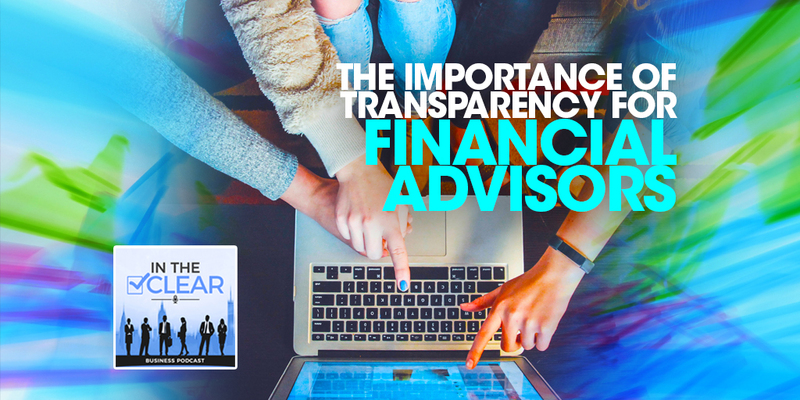 Hello everyone this is Tonya Dawn Recla your host for the In The Clear podcast today and I’m really excited to have with me Lior Grantz the president of Wealth Research Group. He deals with real estate investing and he’s been called the thrill seeking entrepreneur. What I’ve really enjoyed over just moments that we’ve had to get to know each other is his really refreshing approach to the finance industry. He seems to merge those concepts of the financial world with the trust and transparency piece that we’re so big on here at The Clear Business Directory. Then also he’s got this really cool self-actualization piece in there he’s discovered along the way what so many of us discovered that there’s a direct relationship between personal growth and the business growth. And so I’m really excited for him to share his knowledge and experience with you all today from that perspective and so please join me in welcoming Lior the show. Welcome Lior! Hey, I’m excited to be here. Thank you. Oh absolutely. Well, first of all. We talked a little bit before the show you’re in Israel, is that correct? Awesome. Very cool. Well we’re really grateful that you took a little bit of time out of your schedule to share with us. One of the first questions I wanted to ask was just to get some clarity on when you talk about your industry and your work if you could give us a little bit of background on Wealth Research Group. Sure. Wealth Research Group was founded earlier in the year after about a decade of managing money for high end clients. We’ve partnered up with three money managers and we launched a Health Research Group. The idea behind it is very simple. We wanted to provide a rich plethora of information for savers and investors. People from ages 20 to active retirees that need a to strengthen their financial fortress daily just with everything from when it comes to just the one on one investing and then more advanced investing and our timing for launching the business in 2016 was because we saw a very rare window of opportunity in the natural resource sector particularly in the precious metals sector which tends to be very explosive. But you really got to know what you’re doing because there’s only one company out of 3000 actively publicly traded companies ever become truly profitable. You have to really know the top jockeys. So, that’s what we’ve been able to do, we created a membership that wants information that is big picture about the global economy and what to do when interest rates are so severely low. You know this time obviously saver’s cannot save money at today’s rates and they need alternative information. Then on the flip side this environment is perfect for precious metals. So he suggests a very select few companies for our members. Every year that the idea behind it is if you partner up with the right people in the right project you can really make great investment decisions. You know four of our stocks have gone off more than 400 percent this year. Three of them have more than doubled. We’ve had great success and it’s because we’ve already research about 758 management teams this year and only selected like eight companies. So it’s all about that relationship and that transparency that you’ve talked about, building the relationship with management teams, and spending time with them to understand their goals and who they truly are at the core; helps you make great investment suggestions to your members would with resources. Tonya, more than anything else. This is a business about people you know you can have a five – year old run Coca-Cola at this point, right, the product speaks for itself. As for companies that want to build a mine or do you know drill explored do anything that’s very very hard to do and it’s based on professionalism. You really got to pick the few out of the pack. So, that’s what wealth research group does as well as we also have a lot of information as personal finance geared. So, you know it’s very important to understand that if you don’t wake up in the morning with the right attitude nothing else matters, right. So, we provide content that is geared towards inspiring you every day. I would say that’s so crucial right now. and I really like one of the things that you said about knowing kind of who’s at the top of their game. One of the biggest challenge we see it seems like, and maybe this is just me being naïve, but it seems that business owners have so much to deal with and it’s really overwhelming. So, you know in the B2B side of the house when you’re dealing with people seeking advisement in the finance world the biggest challenge our clients have is how do you know who’s at the top of the game. You can’t possibly be the expert in every single industry and unless you who’s in that industry it’s really difficult to tell. What advice can you offer to people regarding how to discern who’s really doing what they claim to be doing in that industry. Sure. Here’s what I’ll tell you right off the bat. 94% of money managers do not beat the index that you can easily buy with no fees and with no issues. The S&P 500 has been the world’s greatest wealth creating vehicle for the past I don’t know how many decades. So, it’s really important to understand this. One of the best thing you can do and I don’t know if you know Tony Robbins that he wrote this wonderful book called Money Masters Seven Rules pretty recently and in that book they go through a study where 94% of money managers, you know just understand this, people who charge on a lot of money to manage your money, do not create any value for you. So, in the financial industry it’s import and it’s really crucial to understand who manages your money is probably going to fail at it just doing the most boring thing and that’s just finding the US index. So, with that said wealth management, which is not a money manager it’s a financial newsletter. Our role is to make sure that you are emotionally wired to make decisions and then we focus on specialty industries that are not participating in the broader indexes the SRP 500 or the NasTech or these large broad indexes they do not have exposure to explosive markets like gold, silver, zinc, uranium you know natural resource as a whole. They do not have exposure to Nanotech, Biotech all these smaller cap companies that if you really know the people you can partner up early with great management teams and that takes an excessive and relentless amount of research and building relationships for that to happen. With that said just realize this is the most important thing in managing your own money is to be emotionally ready. And I believe that’s the most important thing wealth research does by providing information in a very regular fashion. Our members are always active at the right emotional environment to make good decisions you really don’t want to make decisions right off of extreme greed or extreme fear. You want to be calm and collected. And that’s kind of what we do for our members. I really love so much about what you’re saying. We see a lot of times the folks in the finance industry, it’s got this like it’s almost like this understood, promoted sense of urgency you know and scarcity mindset to it. And the idea of preparing people first emotionally and getting them in a solid decision making place is really unique to that industry where did all this come from for you all? Well first I started investing at the age of 16 and I’m 32 now so half of my life I’ve been investing every day. So for me the emotional side, the discipline side had to come in at some point and the thing about me is that I’m a very avid reader, I read so much and the books that I choose are in alignment with that. That’s something important, Tonya, to understand, if you do not have the proper knowledge the best thing to do to leapfrog all that learning curve in any industry is to pick up the right books and to talk to the right people. And what we’ve done in finance and this is really easy to do is to tap into the best minds in finance because they write books and so very early on I read probably the best books about investing ever written. So, I did the next step and that was to emulate that and to get into that mindset and that mindset is all about being calm and collective and all about being long term. So, that scarcity mentality for me it’s fell away a long time ago and I focus on and on just making sure that I am early enough so that the potential is still there but there’s nothing so urgent that you got to do it right this second. Everything can wait, there’s opportunities all the time. And really what you got to do is be prepared yourself for that opportunity because you know if one of goes away without you taking part in it don’t worry about it. There’s so many more opportunities coming your way. All you’ve got to do is be really prepared and just educate yourself daily. That’s the most important thing. You know for me you know two of my personal mentors and I don’t know if I can say personal mentors because I’ve never met them personally but mentors meaning that I emulate so much of what they write. One is Warren Buffet which is arguably the best investor of all time. And Peter Lynch who’s the best fund manager of all time. Their theories and practices have helped to inspire me and move the information that I receive into our membership. That’s so cool. I mean I’m just kind of sitting here in “Aw” with the concepts that you’ve married together. I love the “Get there early enough” theory. You have this really calm cool demeanor to you that is so necessary within that industry. 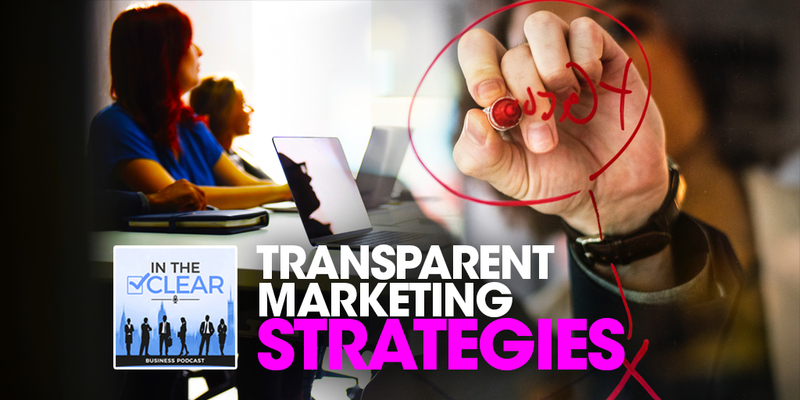 One of our biases here is clear business directories that we feel like the popularization of social media and the Internet has really led to an increase in frauds and scams and questionable business practices. Has that been your experience? I’ll tell you what. I make sure to research and by the way I should say, the membership the Wealth Research Group is free so anybody can go to wealthreasearchgroup.com just sign up and just you know take a test drive and see what information we provide. Also, go to “Special Reports” tab on the top menu and download some of the more advanced information that we provide. I think that’ll be a great first step just to understand exactly what Wealth Research Group is all about. But with regards to your question, the way I personally act is I spend so much time researching who I should listen to that I don’t get to read so much and see so much of that fraudulent aspect of the business. I think people shouldn’t be copying what I told you. So basically you want to look for the top five or six people in the industry and forget about the rest. What do you care? For fun, yeah go ahead and read some more information. But I got to tell you this my experience has taught me that there there’s like 10 opinion shapers in every industry and the rest just copy and recycle whatever they say. It’s true because it’s so easy to avoid copyrighting these days you have like 10 original thinkers in any industry and the rest just feed off of them. Which is fine you know everyone’s got to make a living right. But if you really want the best quality for your life stick to those high end people and if they charge then pay up. I mean I pay up for a lot of services that I use and I don’t mind because you know you can really see it’s all about obviously it’s all about return investment, right. So, there are some great free information out there but there is also people who charge and obviously that’s important to mix it up. I really appreciate so much of what you say and its applicable folks to those of you listening to every industry. While it’s really refreshing to hear this stuff about the finance industry we see some of the same issues in the I.T. industry, the SEO’s, website development, App development, anything that has a seemingly technical or potentially difficult to comprehend piece to it. That’s where we see business owners and end users getting the most trouble because it feels overwhelming it feels intimidating and really listen to or sharing is that it’s not that difficult to kind of feel into who’s at the top of their game you just need to take the time to do that and that’s where that relinquishing that scarcity mindset really comes into play. Yes, and, Tonya, I would add to that as a business owner if I am if I’m contracting to do something with anybody the most important thing is I want to know two things from them. Their honesty level so I ask some very qualified questions regarding and then their ambition level. I only work with people that do not need to be told what to do. And so that’s a very important question to ask and it’s a truly critical aspect of your life if you really want simplicity and outsourcing in your life. You really have to hire the people that will do stuff even without you telling them just because that’s what’s needed to be done. They just have that high level of personal initiative and that way you’re freed up to do what you need to do with it for the business. Because I see so many business owners are chasing their tails and making sure double, triple, quadruple checking what their people are doing. I say you know take that time and just find a better person because that’s a poor waste of time and energy. You really got to have this wealth team around you. Yeah. And then your life becomes so much more simple. Otherwise, you’re always going to be micromanaging and you really don’t want to do that. Do you find that at your business success grew that it was harder to find partners and collaborators and service providers the more successful you got? I would say got it got easier because you can pay more. But so starting a business is extremely difficult. And then growing it is much easier. That’s why I feel so many people are reluctant to start businesses or have issues starting businesses. And for me the most important part of the equation of starting a business. So, I’ve started the five businesses and I am 32 years old and I sold three of them already and two of them are actively running and I am working on the third one opening next month. And I can tell you this the most important thing in business is a partner. So I know, Tonya, you work with your husband and that’s as perfect. But I would say to anyone listening who has had doubts regarding opening a business the best thing you can do is find a partner even if it takes months to find somebody with your ambition level you know, that his strengths compensate for your weaknesses, and you have the same mindset regarding how to build long term relationships, and is just a good person overall even if that takes a long time. It doesn’t matter because that time is well spent. You think to yourself singers are the most solo acts out there right. They only achieve what they achieve because of their own selves. Even singers have voice trainers. You have to have this inner click does this wealth around you know tennis players is solo game right. But look at the audience all the time and he’s got this crew there’s entourage over there. These are the people that help him get up in the morning in the right spirit. Even Da Vinci had people around him to I mean anything and everything just it’s not a solo thing and so many people just try to do it all themselves. You know it’s truly it’s hard it’s really hard. You know if you come away only with one thing from this interview it should be partner up. I am just sitting here with the biggest grin on my face because of everything you just said. With the Clear Business Directory, it was a complete collaborative model because of everything we saw and what I predicted moving forward. We have to figure out how to work together. So the challenge is that it takes a certain amount of self-actualization and development in personal growth to be ready to work with others. Not only that but what comes out of you and what growth develops when you start working with others. So, we are very cautious to that subject matter experts and the people who have experience in the industry. Also, those who’ve done that work on themselves and have climbed their own mountains to get to that place of self-actualization because it is challenging to work with people who aren’t willing to look at themselves and when people meet in that space that’s where the real magic happens. I agree with everything you say be in order to be in business. You need to have a develop personality just because business is about relationships it doesn’t matter which business. So you know bottom line getting into business is a huge step if you’re not wired for it personality wise. You’ll find just by doing business you’ll find how you need to work on yourself. You know other people will reflect your weaknesses and you can work on that. So that’s why it’s very important to get into business regardless. You know I’m and I’m sort of ready, fire, aim type of person. So, look I’m all for business and all I’m saying is a partner is what can help you reflect on what’s going on with you when you need to know why you’re not getting some of the results that you’re looking for. And another good idea is to become a stowaway for another person. So, find a great individual that is having great success work under them personally for a while so you can learn what works for them. Then you know kickoff on your own. Maybe if that person is smart then they’ll take a portion of your new venture in and you can partner up. That happens so frequently in small business but in the large business in corporate they try to block these kind of people. They sign him on three year deals where even if they quit they can’t open a competitive company. But you know you know small timers you know people that have 20 to 40 employees and you know I’m not talking corporations here. They do not do that. They do not deter it. And they even become very happy for people want to leave the company to start a new company. And they basically encourage it from day one. That’s what I think is really great about that. I love it. It’s like the old kind of apprentice model. I think it’s brilliant. And that’s one of the reasons why we stick with entrepreneurship and some of the smaller size businesses because there’s so much more agile, flexible, and creative, and innovative that it’s exciting to me. We were at a big tech conference here recently and there’s a vendor that was going on and on about some big I.T. solution and all this stuff and I was listening to him and it reminded me of my I.T. corporate days and I just I finally looked at him and said “You know what, when our company is ready for that solution I better have sold it” you know I just have no interest in all of that. It felt really good to be an awareness that there’s something really magical about the innovative space and the creativity that’s involved and really building each other up and doing the outsourcing. That’s why we like collaboration in outsourcing and JB’s. It feels really good to provide that opportunity to help each other grow and to kind of lean on each other. Again, I go back to that exponential growth piece like when you learned to create win win win situation all around. It’s a lot of fun. I think it’s very energizing. And I love the challenge of putting all those puzzle pieces together. So I really resonate with everything that you’re saying. Lastly the last question I really want to ask you is what advice do you have for folks in the finance industry who do want to stand out from their competition and want to let their customer base and their potential clients know that they are on the up and up and they’re willing to operate transparently. Do you have advice for that? Well. I think the most important thing in any business is to find your target audience. So, do not try to be everything to everybody because you’ll end up be nothing to nobody. So, just focus on a group of people that really need your help or that you really are looking for specific information and cater to that and you’ll find all the opportunity you need within that niche. Just try it well not even try. Just do the thing that’s necessary to become an expert in one little area and dominate that area. You don’t need to expand. You don’t need to reach out just stay within that niche and grow it become a brand in a very particular form of the of the industry. I think that’s where you’ll find your best opportunities. You really don’t need more than that. Just to give you an example for instance. Right. So, if you become a money manager for people who have $250 to $500,000 now you know you say right off the bat I only a quarter million dollars to have a million dollars. People are looking for a 7 percent yield stocks that deal in pipeline operators in the U.S.. That’s it. That’s the entire model. Now anybody who comes in and wants to work with you, you know that they have the money and they’re looking for that exact thing. If you just say hey I’m a I am a financial planner and I can help you. Well, that doesn’t mean anything but if you tell somebody hey if you’ve got a quarter million dollars to a half million dollars and you’re looking for a 7 percent yield on your investment because we’re going to invest in the safest pipeline operators in the U.S. and I’m going to spread your money between X amount of pipeline operators if that’s interesting to you then come work with us. How many companies are there like this? Well, there’s absolutely zilch because I just came up with it just for example purposes but you can see the power of it. If somebody approaches you is a very qualified lead because you know that he knows that you better not be calling you if he doesn’t have the following interests and terms in place and you can become known as the 7 percent yield company. So you know just stick to your niche. For a Wealth Research Group. What we do is we cater to people who are looking for that balance core portfolio with companies that are what we call wealth stocks. These are your cash your cash gushers, Tonya, that have gone up in profit even during the financial period of 2008. So, if you’re looking for that core base those companies that are just excellent any day. They can be run by morons and they’ll still flourish because their businesses models are so good and that’s one part of our equation, that’s for the people who are looking for what we call compounding. Compounding is making money in the stock market on a thirty – four-year period. So, in the long term and its use is compounded interest which Einstein called the Eighth Wonder of the World. But then you also need current income right. You know you get zero for your for your savings these days. So we have a very very closed niche of companies that we recommend that are yielding 8 percent or more. So, that’s a very unique world and you have to do a lot of research to find those. And then you know the cherry on the top of the cake is the Natural Resource Base which has been called the most potentially explosive profitable wise of all industries and they go through these wild cycles and if you catch them on time the profits are simply insane. I can I can tell you just out of personal experience that I put some funds in one company earlier in the year and it went up from February until June by 900 percent. Now obviously those kind of companies want to limit your funds and your risk in all the things we talk about with Wolf Blitzer. But just to give you an idea and that’s important for people to have this core that’s going to compound current income with high yield. And then I would call it Smart speculation in these more explosive industries and that combo of that trio of safety income and explosiveness is what Wealth Research Group is all about, with regards to how we approach investing. I love that it’s so it’s so refreshing to hear you talk about all this I know our listeners are going to want to know more about you. Where would you like for us to send them. The best way to kind of you know think is to test drive is go to wealthresearchgroup.com. Then you know if you if you want to sign up for free it’s right there. There’s a there’s an e-mail then sign up. If you want to read some of our research and I think that’s very important as sort of a due diligence period right. You go to the “Special Reports” tab on the top menu and just download any of the special reports I think you’ll find it very fast, and you’ll find it very actionable and I think that’s what people are looking for education and then action steps. So that combo should resonate with people who are looking to strengthen their financial fortress. Very cool. It’s been a delight getting to know you and hearing about your approach and I really I just appreciate knowing that you are out there doing some good things in the world. Thank you so much for sharing some time with us today. Tonya, I really enjoyed it and thanks for having me. Absolutely. Take care and everyone out there. Thanks for listening. Until next time make sure that your business is In the Clear. Bye, bye everyone!